DALLAS – If you’re flying somewhere for Thanksgiving, expect airports to be even more crowded this year. The group’s chief economist, John Heimlich, said Thursday that rising personal incomes and job growth are helping boost demand for travel. But the increase in passengers will be offset by additional seats and flights, so planes will be about equally full as last Thanksgiving, said a spokeswoman for the trade group. This year, American, Delta and JetBlue have increased passenger-carrying capacity — that usually means more flights or bigger planes — while United and Southwest have operated close to their 2013 capacity. Last year, the airlines’ Thanksgiving travel forecast turned out to be too high by about 3 percent. Heimlich blamed bad weather that caused widespread flight cancellations. And historically, the crowds have been worse. Even if airlines meet this year’s forecast, Thanksgiving travel would still be about 6 percent lower than it was before the recession that began in 2008. Six F/A-18s will be conducting operations at the Long Beach Airport (LGB) starting Friday, November 7 and continuing through Tuesday, November 11. Over the long Veterans Day Holiday weekend, the Long Beach Airport advises Long Beach residents that there will be intermittently higher noise levels due to these operations. The combat jets are owned by the U.S. Navy and Marine Corps and will be flown from Long Beach to designated flight training areas throughout the day, according to Stephanie Montoya-Morisky, spokeswoman for the LGB. The jets will return to Long Beach from these training areas intermittently. The McDonnel Douglas (now Boeing) F/A-18 Hornet is a twin-engine supersonic, all-weather carrier, capable of performing as a multirole combat jet. It is designed, according to the LGB, as both a fighter and attack aircraft (F/A designates Fighter/Attack). The F/A-18 was designed specifically for use by the United States Navy and Marine Corps and is used by the air forces of several other nations. The U.S. Navy’s Flight Demonstration Squadron, the Blue Angels, has used the Hornet since 1986. The LGB, in regards to this upcoming Veterans Day on November 11, would like to thank veterans and current soldiers alike for their service and dedication to this country. The loss of the Blackpool Airport could pose a “threat to safety” pilots have warned as official figures reveal the number of emergency landings made by aircraft at the terminal. A number of emergency landings were made on the more than mile long runway in recent years, including a Red Arrow diverting to the Fylde coast in an emergency, attended by both the airport’s own fire crews as well as Lancashire Fire and Rescue and Lancashire Police. A Freedom of Information request by The Gazette to Lancashire Police revealed officers attended a number of incidents at the Squires Gate Lane hub, as well as call-outs made for extra help from fire crews to deal with problems. In one instance an aircraft was forced to land on the strip after its cockpit filled with smoke while passengers had to evacuate a jet after smoke was seen pouring from the plane as it landed. On June 6 this year the captain of flight LS740 from Alicante was advised to evacuate the flight as a precautionary measure after Blackpool Airport air traffic control spotted smoke coming from the brakes on landing. Now pilots have said the loss of the airfield could pose a threat to airliners which can come into difficulties in the skies over the Fylde coast. Paul Wane, a private pilot who used to work for Fly Blackpool, said: “The bottom line is that Blackpool could be used, when it was active, as a diversionary airfield for aircraft that were in trouble. “The fact is that it is no longer a licensed airfield, and also the fact there is no emergency services there to help aircraft that may require help. This means that pilots or larger aircraft may try to seek an airfield that has got these – it could extend the problem and create a safety issue. “The fact Blackpool Airport is now closed means an aircraft would have to fly longer to find an airfield with emergency services available. The famous Red Arrows, which attract thousands to Blackpool with acrobatic displays every summer, have been forced to make emergency landings at the airport too. In August 2011 one of the aircraft had to make a swift landing after colliding with a bird, prompting fire and ambulance crews to race to the airfield. In February 2011 a Lynx helicopter’s engine failed five miles from the airfield and emergency teams were scrambled, and in May of that year an aircraft made an emergency landing in Blackpool after reporting problems with its undercarriage. The following month a twin engine aircraft was forced to make an emergency landing after having to shut down one engine. In April 2012 an aircraft reported problems with its nose wheel while landing. In June 2013 full emergency response procedure was also followed as a light aircraft got into difficulty, but the crews were stood down after the plane landed safely. In August of this year, fire crews were called as a precautionary measure after the pilot of a small aircraft reported smoke in the cockpit of his plane. Airport bosses Balfour Beatty officially closed the airport on October 15 after a buyer to save it at the 11th hour could not be found, ending 100 years of aviation history in the resort. Balfour Beatty said the terminal was losing an estimated £1.5m a year. The demise of the commercial airport left 100 jobs in the balance. Yesterday Fylde MP Mark Menzies warned potential buyers have only a six-week window to firm up any offers for the airfield before the assets of the airport start to be sold off. SURAT: Following the grounding of an aircraft due to the stray cattle incident at Surat airport on Thursday evening, the SpiceJet management has indefinitely suspended its flights from Surat. "Flights from Surat has been indefinitely suspended after one of our aircraft hit a large stray animal on take-off roll this evening," said Spice Jet spokesperson from Bangalore. More than 170 passengers in the Delhi-bound Spice Jet aircraft had a miraculous escape when the craft was hit by a stray buffalo, when it was taking off from the Surat airport at around 7:25 pm. Airport sources said all the passengers are safe. He added, "An alternate aircraft was arranged to ferry the passengers to Delhi"
There was utter confusion between the airport authorities and the SpiceJet pilot as to which stray animal hit. However, sources at the Airport said that it was a stray buffalo and that the impact was very heavy. The 189-seater Boeing aircraft has sustained a considerable damage in its body and that it is parked safely in the parking apron. Official sources said the Dehli-Surat-Delhi flight of SpiceJet arrived at about 6:30 pm on Thursday. The passengers from Delhi to Surat alighted at the airport and the passengers bound to Delhi boarded the flight. It took about an hour for the flight to get on the runway for takeoff to Delhi. However, within few hundred meters during the take off, the craft was hit by a stray animal on the runway. The pilots immediately stopped the craft midway and drove it in the parking area to check the damage. Dr SD Sharma, airport director told TOI, "The passengers had a miraculous escape. There was no breakdown of the engine or other technical fault. The aircraft hit with a stray animal during takeoff. All the passengers are out of the craft safely and the investigations are on to check the damage to the craft. Possibly, the craft will have to undergo a thorough investigation to check the damage. Meanwhile, the passengers have been taken into the arrival area of the airport"
"The incident has given a very bad impression about the state of affairs at Surat airport. Now, the other airline companies would think twice before starting operations," said a member of We Want Working Airport At Surat (WWWAS). For next trip abroad, why not fly the plane yourself? Recreational flying is commonplace overseas, but it is only beginning to take off in China. As a high-flying businesswoman at a Beijing-based finance company, 32-year-old He Wenjuan has been on an airplane more times than she cares to count. But a recent flight she embarked on in Thailand was a little different from all the others - on this occasion, she was not a passenger, but the pilot. He had no prior experience with flying an airplane. But after two short lessons with a flight instructor, she was put in the cockpit of a Cessna 172 - a four seat, single engine, fixed-wing plane that lays claim to being the most manufactured aircraft in history - and made responsible for flying from the bustling capital of Bangkok, to the seaside resort of Pattaya, around 150 kilometers to the capital's southeast. He was, of course, accompanied by an experienced flight instructor, but for all intents and purposes, she was the one who was piloting the plane. "The most breathtaking moment was when I was flying over one of the small islands near Pattaya," He recalls. "I circled around the island a few times, because it was so beautiful. I felt like a bird, who had shaken off the shackles of gravity." The flight was arranged by Ifeixing Club, the only-China based tourism agency that currently organizes trips that allow travelers to experience the thrill of piloting their own plane abroad. "In the US and many countries in Europe, people have owned private planes and participated in recreational aviation for many years," said Zhang Guoxiang, the company's CEO. "However in China there are many cumbersome procedures and excessive regulations that limit recreational flying." In comparison, Zhang said that there were relatively few requirements for signing up for their recreational aviation tours abroad. Those who signed up would take a commercial flight to one of the three overseas locations currently offered by the company. Once there, they would undergo a two-session training course which would cover all the basics, from taking off and landing, to how to control the plane in the air. He's flight in Thailand was part of a three-day trip costing 9,999 yuan ($1,634), which included requisite visits to local tourist sites. Overseas, recreational aviation is well established, and those keen to experience the thrill of piloting a plane can organize their own itineraries without the involvement of a travel agency. Many recreational aviation clubs are open to Chinese nationals, such as NYFlying Club, a private high-end aviation club in the US. Such clubs mainly focus on aviation instruction and recreational flights. In 2010, a woman using the nickname of Banzhang Jiemei posted on her Sina blog her own experiences of being at the helm of an aircraft, after joining a recreational flying club in the US on her own initiative. "I paid $100 for an entrance fee and then signed up to be a member of the club for $50 per month," she wrote. "So now I can hire planes at the club for between $100-$700 per hour, any time I want." He said that it never occurred to her to organize her trip herself. "It was more convenient for me to book the trip through a Chinese agency," she said. Having gotten her first taste of piloting a plane however, she is enthusiastic for more. "I'm really happy to have finally realized it." To beaten-down U.S. fliers, it sounds like a fantasy: high-quality airline service at lower prices. Travelers are finding just that on several airlines based in the Persian Gulf, which have shaken up European and Asian air travel and now are taking on the U.S. In the past year, Emirates, Qatar Airways and Etihad Airways have boosted the number of U.S. flights by 47%, and now serve 11 cities. They are drawing complaints of unfair competition from their stateside rivals, and more growth is coming. Emirates can deliver more people each week from New York’s Kennedy Airport to Dubai than American Airlines flies to London or Delta Air Lines flies to Atlanta from JFK. This year, Doha-based Qatar began flying to Philadelphia, Miami and Dallas. And as of next month, when Etihad adds Dallas nonstops from its home in Abu Dhabi, all three Gulf airlines will compete head-to-head in four U.S. cities. They are spending big to build brand awareness in the U.S. Emirates sponsored this year’s U.S. Open tennis championship and became the official airline of the San Francisco Symphony. A performance by Gloria Estefan headlined a Miami gala Qatar threw for its launch there. They are winning over customers with service reminiscent of the early days of flying. That means hot towels in economy, plus amenities like onboard showers in first class and a bar in business class. Etihad has flight attendants trained as flying nannies who entertain children from first class, business and economy cabins with face-painting, games, crafts and contests during flights. U.S. airline executives are increasingly questioning whether the government should check the growth of the state-owned Persian Gulf carriers via treaty, as Germany and Canada have done, rather than allowing the current Open Skies allowance to fly anywhere. “A number of those carriers are not airlines. They are governments,” Richard Anderson , chief executive of Delta Air Lines, complained at a travel convention this fall. The carriers note many airlines around the world have government ownership. What’s happening with the well-financed Gulf carriers is nothing short of a revolution of global transportation. The three big Persian Gulf carriers have the lion’s share of jumbo-jet orders at Airbus and Boeing , putting most of the industry’s long-haul international growth in their hands. Those long-range jumbo jets, which can fly halfway around the world nonstop, are reshaping air travel. The Gulf airlines are now capable of offering a nonstop flight from more than 80% of the world’s population. Increasingly those new planes will fly to the U.S., the world’s largest aviation market and one that the Gulf airlines have yet to penetrate deeply. The three carriers have already siphoned off a good portion of the passengers into and out of the Indian subcontinent and Africa, as well as between Europe and Asia. They are shifting traffic from traditional global hubs like Singapore and Frankfurt. And they are now flying passengers from the U.S. not only to their fast-growing home bases but also to India, Africa and the Far East. They have built giant airports with innovative luxuries—Qatar’s new airport in Doha has a swimming pool above the concourse for laps during layovers—and room to expand. Emirates has turned Dubai into an airport so big it runs neck-and-neck with London Heathrow for the crown of biggest airport in international passengers. Announcements at the Dubai airport are made first in English, then Arabic. Etihad got the Abu Dhabi government to pay for a U.S. Customs and Border Protection station in that emirate, pre-clearing U.S. passengers so they don’t have to wait in massive lines at U.S. airports. The budget-strapped CBP took Abu Dhabi up on the offer, angering U.S. airlines and labor unions. The Gulf carriers are backed by cash-rich governments in Qatar and the United Arab Emirates. (Dubai and Abu Dhabi are emirates within the U.A.E.) These countries are using airlines for economic development and building a viable industry for when their oil and gas run out, the Gulf airlines say. They have taken advantage of cheap labor in many parts of the world and brought in workers to follow their own housing, training and work rules, demanding of them exacting service and long hours. Rivals complain the government-owned Gulf airlines have huge financial advantages that create an uneven playing field. The airlines work closely with their regulatory agencies and even share ownership with their airports and ancillary businesses, from hotels to liquor distributors. Salaries and profits are tax-free. Airlines have long said that Gulf carriers benefit from government subsidies and cheap fuel—which the carriers vehemently deny. Airlines also fume that Emirates took advantage of international Open Skies treaties by starting flights last year nonstop between New York and Milan, a significant incursion into trans-Atlantic flying in direct competition with American, Delta and Alitalia. These treaties have liberalized air service over the past two decades by removing government limits on airlines and routes they fly. Jeff Smisek , chief executive of United Airlines, called for U.S. government limits on Gulf airlines. (The Obama administration has shown no signs of a policy change.) Mr. Smisek’s counterpart at American, Doug Parker , told an airline conference this fall that the Gulf carriers were his biggest business concern. Emirates says its only subsidy was $10 million to buy three airplanes at its 1985 launch. It adds that it has been profitable for 22 consecutive years and has paid $2.8 billion in dividends to its owner, the Dubai government’s investment arm. Qatar and Etihad also deny receiving government subsidies and say they are profitable. They add that any airline that flies to their home airports pays the same local rates and taxes. When the government invests money in the airline, it’s equity, not subsidy, they argue, no different from other shareholders injecting capital in a business. “If Emirates, Etihad and Qatar stopped serving America, there would be a huge shortage of capacity to” the Persian Gulf region, he added. Analysts note that geography offers more protection for U.S. airlines than their European counterparts have. American and Delta have ceased all flights to India in recent years because of added competition. But the Gulf airlines will have a harder time competing for passengers going to the Far East and especially Europe from the U.S. The three Gulf airlines had 22 daily flights to the U.S. in July, up from 15 a year earlier and just 12 in July 2011. PlaneStats, the database run by consulting firm Oliver Wyman, counts more seats each week at JFK for Emirates than for Air France now. “Fundamentally, this is an example of what is not good for other airlines is quite good for passengers,” said consultant Craig Jenks, president of Airline/Aircraft Projects Inc.
Emirates says it is already taking U.S. passengers to destinations like Bangkok, going eastbound through Dubai rather than the traditional westbound Pacific Ocean route. With tailwinds instead of headwinds, an eastbound trip can sometimes be faster. And Emirates often has shorter connecting times to reach Bangkok because it has six daily flights to the Thai city from Dubai. But the rush of new capacity into the U.S. does pit the Gulf airlines against each other. And some markets may not have enough passengers to sustain so many flights. Consider Dallas-Fort Worth. Emirates started with a Boeing 777 and recently upgraded to an Airbus A380, adding another 100 seats a day. Qatar, which has an alliance partnership with American, began Dallas flights this year with a 777. Etihad announced it will start DFW flights next month three times a week, and daily flights next year. Kevin Knight, a former United executive who is now Etihad’s chief strategy and planning officer, said a partnership with Jet Airways in India actually helps fill flights like the one to Dallas. So does the area’s high concentration of Fortune 500 companies and oil and gas businesses. Executives from all three airlines say they’re filling planes in all U.S. cities at a rapid pace. Still, so much expansion may leave them in a three-way shootout. “There is room for the fittest,” Qatar’s Mr. Al Baker said. 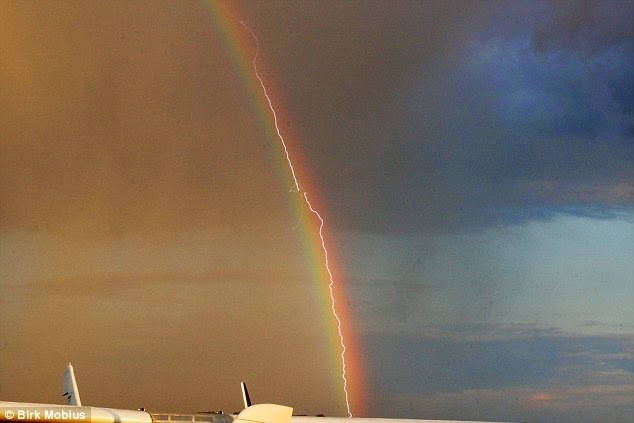 Passengers were left terrified when an Alitalia plane was struck by lightning as it flew through a severe storm over Italy on Wednesday night. The captain chose to make an emergency landing after the commercial aircraft’s right engine was hit by a lightning bolt on a cross-country flight from Ancona. None of the plane’s 51 passengers and crew was injured, and the ATR 72 twin turboprop aircraft landed safely at Rome’s Fiumicino airport. Italy’s Ansa news agency said there were ‘moments of fear’ on board the small plane when the incident occurred during the one-hour flight. The plane was taken out of service and inspected by engineers to determine the extent of any damage. A similar incident occurred in February when an Alitalia flight from Rome was hit by lightning as it prepared to land in stormy weather in Genoa. On its website, aircraft manufacturer Boeing says lightning strikes to airplanes are relatively common but rarely disrupt the safe operation of a plane. SEATAC, Wash. - One of the biggest dangers for airplanes at Sea-Tac Airport comes in a small package. That package has four legs – and fur. The hundreds of acres of fields surrounding the airport have become the perfect habitat for the field vole, a small rodent. In addition to being cute, the field vole is also an attractive food source for predators. During peak times at the airport, their numbers swell to more than 10,000, providing the perfect meal for all types of animals. "They are the plankton of the flats," said Bud Anderson, a raptor biologist. "Everything eats them – Great Horned Owls, Red-tailed Hawks, coyotes, you name it." Having animals around the runways, however, can prove dangerous for planes in the air and on the ground. While fences can keep large animals like coyotes out, there’s no surefire system to keep birds away. "There's no way we can really teach them to avoid planes," said Mikki Verhover, a biologist with the airport. "It’s not in their capabilities to understand how fast a plane is moving. So if they detect a plane, by the time they detect it, it's already where they are." When a bird strikes, it can do serious damage to an airplane. It can destroy an engine, rip into a wing, or go right through the windshield. In 2013, there were 11,315 reported bird strikes across the country, although only 601 caused any damage. Here is the FAA bird-strike database. Biologists use a wide array of deterrents to keep raptors away, including pyrotechnics and other scare tactics. While some resident raptors have learned to steer clear of the flight path, for young birds, the lure of the vole can be too much, so workers will try to relocate them. The process begins with a series of raptor traps set up around the perimeter of the airport. When one is tripped, a satellite transponder sends a text message to a team of biologists. The birds are then examined, put in a pet crate, and shipped 80 miles north to the Skagit Valley. The program has a unique agreement with the Bellair Airporter, an airport shuttle service. Each bird gets a seat on a van with other travelers. This process means a bird can be relocated within a matter of hours, minimizing crate time and stress. Once the birds arrive in the Skagit Valley, they are weighed and measured. They also are given ankle bands or wing tags and their information is entered in a nationwide database. "We want to know where they go. We want to know where they show up. We especially want to know if they come back to the airport or not," said Anderson, who has been working with birds for half a century. “If they come back, then that tells us that maybe we need to move them further." Raptors typically wander for the first two or three years of their life before finding a mate and settling down. Some of the birds that have been relocated from Sea-Tac have been spotted as far north as Nanaimo, British Columbia, and as far south as Sacramento, biologists said. In the 13 years of the program, more than 686 birds have been relocated. Only seven have returned to the airport. Anderson added that the Skagit Valley can be a paradise for raptors. "Lots of food, open fields, no jets," added Anderson. "There are so many field mice and other sources of food like rabbits. They do very well here." The Natrona County Commission approved a request from the airport’s manager to file the paperwork for a grant from the Wyoming Business Council to build an $2.8 million aircraft hangar to attract business. “What we’re looking for, in this particular case, is making sure that we have the asset available,” said Glenn Januska, manager of the Casper-Natrona County Airport. 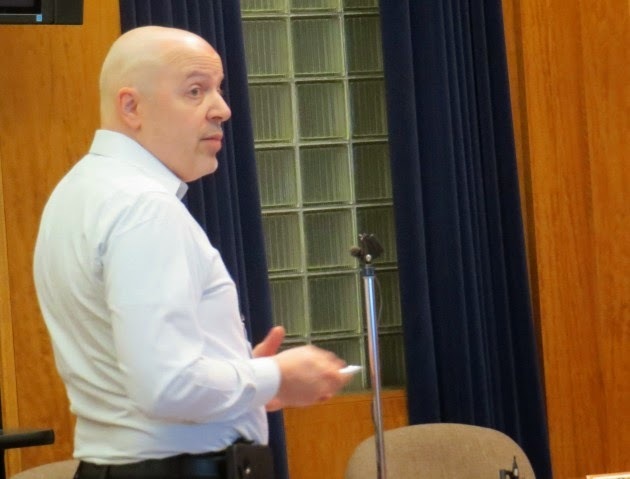 “There are opportunities, and we’ve identified what we believe are opportunities to actually recruit aviation-related companies to Natrona County,” Januska said after his presentation to the commission. The proposed 100-foot by 100-foot hangar would have an 80-foot-wide door with a 24-foot-high clearance. It would be located south of the terminal, and aircraft would access it by a ramp off the runway. The hangar also would have office space. The hangar would be built “on spec,” or speculation, Januska said. The airport will contribute $242,000 in cash; and another $380,000 in in-kind noncash contributions including the land, architectural work done so far, and the value of the ramp to the anchor, Januska said. The grant request from the Business Council’s Community Ready Development program will be $2,578,000, he said. Now that the Natrona County Commission has approved the grant request, Kim Rightmer of the Wyoming Business Council’s east-central region said Januska will submit the paperwork to the Business Ready Community Program by Dec. 1.
Business council staff will conduct its due diligence, visit the site, meet with the airport’s board of trustees, and determine whether this is a project worth funding, Rightmer said. “Then we’ll make a recommendation to the (business council) board either way, hopefully it will be positive, and it will go before our board on June first, 2015,” she said. If approved, Januska said construction could begin late next year. Walnut Ridge Airport Manager Michelle Anthony welcomed three of the nation's governors to the airport last week. 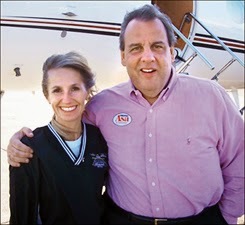 She is pictured here with New Jersey Governor Chris Christie. Three governors landed at the Walnut Ridge Regional Airport late Thursday night. They were en route to a 'get out the vote' rally for Republican gubernatorial candidate Asa Hutchinson in Jonesboro on Friday morning. New Jersey Governor Chris Christie, Tennessee Governor Bill Haslam and Indiana Governor Mike Pence arrived in Walnut Ridge aboard a Gulfstream 450 business jet. Airport Manager Michelle Anthony and the airport staff were busy late into the night Thursday making preparations for their arrival. Anthony and her staff were back at work early Friday morning to prepare and load the plane with food and beverages for the governors' return flight. Airport Commission Chairman Dan Coker said the governors thanked Anthony and her staff for making their arrival a pleasant one and commented, "You have a beautiful airport." The 145 passengers aboard an Alaska Airlines 737 traveling from Sitka to Juneau on Tuesday night got a bit of a scare when a bolt of lightning struck the plane a couple minutes after take-off. The plane was able to continue to fly as scheduled to Juneau where it landed safely. It was taken out of service as a precaution and another plane flew the rest of the route to Anchorage, a spokesperson for the airline said. It’s not yet known if any repairs will have to be made. The inspections are being done today (Wednesday), Knigge said. Lightning is rare in southeast, especially this time of year. But Knigge said it’s not uncommon for lightning to strike aircraft. Passengers on the flight remained calm even though plane was jolted, Larsen said in an interview Wednesday. “I had a girl beside me that was maybe 10 or 12 years old, and I didn’t want to freak out or scream,” Larsen said, noting that other passengers must have felt the same way. “This was an experience for somebody that hates to fly,” she added with a laugh. The flight had departed behind schedule at 6:59 p.m. from Sitka, and taking the plane out of service caused further delay. Among those who had to wait several hours to catch the flight to Anchorage was politician Byron Mallott, the running mate of Independent gubernatorial candidate Bill Walker. A campaign spokesperson, Lindsay Hobson, said Mallott was trying to get to Anchorage by 9:45 p.m. to join his ticket mate at Election Central at the Dena’ina Civic and Convention Center. US Airways and American Airlines, which are combining their frequent-flier programs, will continue to reward miles for free travel based on the distance flown, and not on fares paid. That benefits leisure travelers, who hunt for bargain fares, in contrast to business travelers, who often book expensive last-minute tickets. The merged airlines are now called American. US Airways Dividend Miles members, who fly occasionally, won't notice much difference - they will get a new American frequent-flier number next year. US Airways' most frequent jet-setters, who log 25,000 miles or more a year, will see changes. The biggest change will be the end of automatic, complimentary upgrades for US Airways Silver, Gold, and Platinum customers, the Dallas-Fort Worth based American recently announced. Only the top-tier fliers - US Airways Chairman's Preferred and American Executive Platinum, who fly at least 100,000 miles a year - will continue to get unlimited upgrades from Coach to First-Class seats on domestic flights. When American and US Airways combine reservation systems late next year, lower-level elite fliers in US Airways Silver, Gold, and Platinum levels will have to earn, or pay for, upgrades on flights longer than 500 miles. On trips shorter than 500 miles, all elite levels will still get free upgrades on North American flights. "It's a more complicated program for US Airways fliers than it was before," said Brian Karimzad, director of MileCards.com, a site that compares travel credit cards and reward programs. US Airways elite-level fliers are used to free upgrades on domestic flights of all distances. "It's a very big change, going from not having to request an upgrade, and not having to use any coupon for an upgrade, to having to earn these coupons or buy the coupons if you don't have enough in your account," Karimzad said. The new American is generally adapting the American AAdvantage program, which has three levels of elite-status membership: Executive Platinum (100,000 miles flown annually), Platinum (50,000 miles), and Gold (25,000 miles). US Airways has a fourth level, Platinum Preferred, for customers who fly 75,000 to 100,000 miles annually. That tier will disappear, and those fliers will be mixed in with American's existing Platinum level and US Airways current Gold members, who fly just 50,000 miles a year. In merging the programs, "We came forward with a hybrid," said Bridget Blaise-Shamai, managing director of American's frequent-flier program. "Today, US Airways Dividend Miles allows all its elite customers to upgrade complimentary on most of their domestic markets, based on space available, and there is a hierarchy," she said. "American Airlines has more of a hybrid. Our top tier, Executive Platinum, has unlimited complimentary upgrades [on domestic flights]. Our Gold and Platinum members use their stickers, or coupons, that are part of a virtual bank," she said. "Gold and Platinum customers have two ways to pay for their upgrades: buy them for $30 for every 500 miles or earn them. For every 10,000 miles you fly, you earn four 500-mile trip segment upgrades." American has 70 million frequent fliers; US Airways has 30 million. American and US Airways mileage balances will be combined in the second quarter in 2015, but no date has been set. For current U.S. Airways Dividend Miles members who don't have an AAdvantage account, one will be automatically created and their earned US Airways miles will roll over. Travelers with an account at both airlines will be able to combine their accounts early next year. Their AAdvantage number will survive. In the short term, American has said its not following the lead of Delta, United, Southwest, and JetBlue airlines in adopting revenue-based travel rewards programs that favor passengers who spend the most. "For me personally, as an American Airlines flier, that was the biggest thing," said Brian Kelly, founder of ThePointsGuy.com, blog and website for maximizing frequent-flier and credit-card points. "I'm very relieved that American has decided to keep their program, which I think is one of the best out there." US Airways and American transport nearly 80 percent of fliers in Philadelphia. MOJAVE, Calif. - The Kern County Sheriff's Office has released information on the SpaceShipTwo in-flight anomaly that happened on Friday, October 31. Wreckage from the aircraft was initially found over a several mile span near the intersection of Redrock Randsburg Road and Catlin Road, northeast of Mojave and southwest of Ridgecrest, according to KCSO spokesman Ray Pruitt. Pruitt said additional pieces of aircraft have been found, some as far as 35 miles away from the area where the majority of the aircraft was located. The coroner report for co-pilot Michael Alsbury said the cause of death was blunt force trauma and the manner of death was an accident. The Kern County Sheriff's Office is asking the public for help in the investigation. They would like any person who locates additional pieces of aircraft, or any other items which may be related to the aircraft, to leave the materials untouched and immediately notify the Sheriff's Office at (661) 861-3110. Peyton Guest at the graveside marker of Herman Balderson. 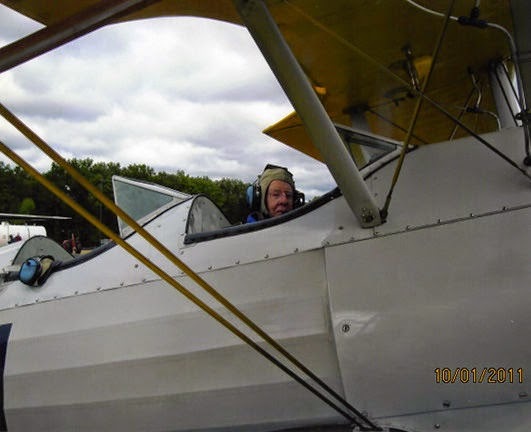 A hand waving from a Piper Cub airplane window formed a lasting memory for Peyton Guest. At the age of 12, he saw the yellow Piper Cub plane flying low overhead where he was shelling corn by hand. He had been given the task of shelling enough corn to make a trip to the mill near his home outside of Tappahannock. According to Guest, the plane was flying very low and slowly. He could see the people in the plane and the person in the back seat would wave back to him as he jumped up and down waving his arms at the plane. It was an unusual sight to see small aircraft flying in 1943. World War II was happening and any airplanes that were not being used by or for the government of the United States had to have their engines removed. It was a safety measure to prevent any foreign agents from stealing the plane and doing damage to the USA. Guest knew he had best finish his task before lunch and got busy shelling the corn as the plane circled slowly around, as if the passengers were possibly sightseeing the area. During lunch with his mother, sister and a neighbor, Alvin Pitts, they heard a loud, strange noise from the direction of the Rappahannock River. Not knowing what it was, they continued with their plans of taking the corn to the mill. On the way home from the mill, they went through an area called “cottage row” and met Sydney McKendrie walking home. Guest recalled that McKendrie looked as if he had seen a ghost. It was then that they found out about the crash of the piper cub. The plane had crashed close to McKendrie’s boat. 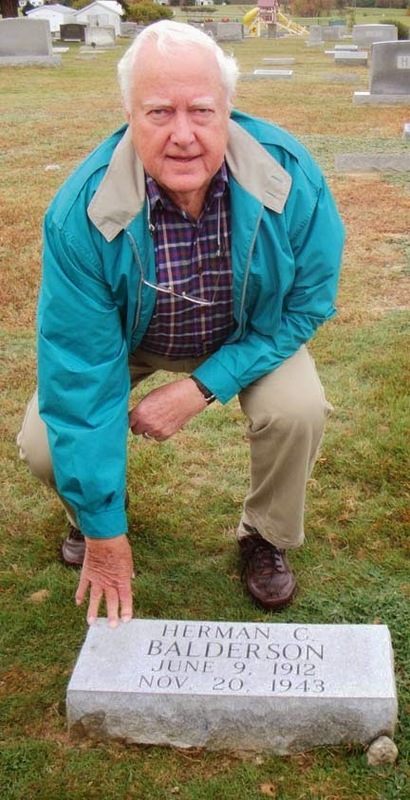 McKendrie witnessed the fatal plunge of the aircraft, noting that it had circled the area many times before it plunged into the Rappahannock River at full throttle. Robert Pitts’ boat was the first to reach the wreckage. He pulled it with grappling hooks to the railway on his brother’s property near Bowler’s Wharf. Herman Balderson, 31, and Mabel Conley, 22, were found dead in the plane. —See the full story in the November 5 edition of the Northern Neck News! Pictured is Andy Dolan from the 2011 Crossville Memorial Airport Fly-In. Crossville resident Andrew MacDonald Dolan moved to Cumberland County 26 years ago with his wife, Yvette. Andrew turns 96 next month, making him the oldest of the 142 known World War II veterans living in Cumberland County. Dolan was born in Haddonfield, NJ, on Dec. 7, 1918, less than a month after the armistice of World War I. His parents were both Irish immigrants, though they came to the United States separately. His mother, Jennie, frequented trips back to Ireland, including at least one voyage made aboard the "Columbia" in 1924 with her children – Joseph, 7; Donald (Andrew), 5; and Frances, 3. His father, Joseph, arrived in the U.S. in 1907 and became an attendant servant at the Bancroft Training School, previously known as the Haddonfield School for the Mentally Deficient and Peculiarly Backward, est. 1883. The school was created to develop innovative ways of teaching developmentally disabled children. Bancroft had a summer camp in Owls Head, ME where the Dolans would spend their summers from June until early September. "It was unusual in those days for people to travel like that," said Dolan. "It would take us three days to get to Maine. We'd start out with two spare tires on the roof of the car." He laughed. "The roads were terrible. You'd go for miles and miles under construction." Dolan's descriptions of those journeys conjure images of Tom Joad's family crossing the dustbowl to get to California. Very few people had an automobile in those days, but one of the patients at Bancroft had a car he would loan to Joseph for the trip to Maine every summer. "We were just an average family," said Dolan. "Nobody was rich, of course, in those days. But we didn't know we were poor until Franklin Roosevelt told us we were, that we needed government help." Dolan looks back on his youth with fondness. "In those days, life was easy," he said. "We didn't see any real problems. We had enough to get by on. There was a lot of unemployment but, fortunately, my father was employed. Nobody made a lot of money but we lived relatively good." At a very young age, Dolan fell in love with airplanes. "I guess, as a kid you get stuck on things. Airplanes was my thing. I'd never miss a chance to see an airplane," he said. "I was always around airplanes. I made model airplanes and I always wanted to fly. We used to drive on Sundays to Central Airport in Camden and just watch the airplanes land and take off. It's a great thrill to be in the air." Inspired by his childhood heroes, World War I flying ace Eddie Rickenbacker and Charles Lindbergh, Dolan had already earned a pilot's license by the time he turned 21 years old. To get a license back in the 1930's, a pilot needed at least 35 hours of solo time before they could take the test. The cost was about $25. "Lunch used to cost me 15 cents for a ham sandwich and a little bottle of chocolate milk. So I cut out the ham sandwich and got a tongue sandwich. That was a nickel cheaper. I saved a nickel for lunch every day," said Dolan. "It took me over a year to save $25." His hard work and perseverance finally paid off. "It was quite a thrill the first day – me, all alone in an airplane. Something that I dreamed of finally happened," said Dolan. "There were kids up there flying that had a hundred hours and they still hadn't passed their test. I spent my whole 35 hours practicing maneuvers. I didn't do any cross-country flying or anything. Every minute up in the air, I was practicing something I needed to do to get my license. I got my license with 35 hours and 35 minutes." Dolan had a friend from school who worked at the local airport. After he got his license, his friend told him they were forming a club. They had five members but needed one more. "He said 'let me show you something.' So I followed him around the other side of the hangar and there was a little yellow airplane there, a Piper Cub, serial number 20809." As soon as Dolan saw the plane he fell in love. He asked if the owner would take $25 that day and $100 the next week. The owner agreed. "Now, it took me over a year to raise $25. I had to come up with $100 within a week!" Dolan didn't want to ask his parents for money, but he was able to secure a loan from a local bank. "I knew the story – either I make my payments on time, or I would end up with a broken arm or broken leg. That didn't phase me a bit. I didn't care what was gonna happen – I had a 1/6 ownership in an airplane. That was the happiest day of my life." Dolan's fascination with flying drew him towards military service. However, though he had a private pilot's license, he did not qualify to be a military pilot. "I couldn't qualify for the flying cadets because you needed two years of college and 20/20 eyesight," said Dolan. "I had neither. But if I couldn't fly, I wanted to be around airplanes." Dolan went to an army recruiting office in Philadelphia. "I asked the recruiter if I signed up if there was any chance I would do any flying. And he says 'oh, absolutely. You sign up today and we'll send you to mechanic school down in Montgomery, AL, and after you get your license to practice maintenance, you'll get to fly the airplanes after you fix them to make sure they're okay for the lieutenants.' I thought that sounded pretty good," Dolan said as he laughed. At the time, Dolan was working at the "Philadelphia Record." One of his colleagues, who was a captain in the Pennsylvania Air National Guard, had been trying to recruit him, as well. "The last time I talked to the recruiter, he was still trying to get me," said Dolan. "I went home and there was a letter from President Roosevelt to come to Fort Dix the following Tuesday with clothing for three days. My number was the first one out of the barrel when they drew the numbers for the draft. I didn't think I wanted to be in the infantry, so I rushed to ask if I could still get in the guard." Dolan joined the Pennsylvania Air National Guard in 1941. He left home on Feb. 16 for one-year of active duty. "When Pearl Harbor came along, that changed everything. I was in for the duration then," he said. While on active duty, Dolan would always review new regulations that came in to see if there had been a reduction in the requirements for flying. "They kept gradually changing, not for cadets, but for ferry pilots and stuff like that," he said. Dolan didn't have enough experience to fly most of the equipment he would otherwise be qualified for. The majority of his flight log was in the Piper Cub, while most of the military planes had the more powerful 150-horsepower engines. In 1944, a regulation came in for glider pilot training in Arizona. Dolan made some phone calls to get transferred in to glider school. In the mean time, the military was consolidating and reorganizing squadrons. Dolan got the opportunity to join the intelligence section as a photo interpreter, which required six weeks of training in Florida. "The day after I got back from Florida, they busted up the squadron and scattered us all over. That probably saved my life because I never got my application to glider school back," said Dolan. "I looked at pictures from D-Day and saw those gliders piled up in hedgerows, upside down, one on top of the other. I thought I was sure lucky that I never got to that point in my life." To be sure, the life expectancy of glider pilots in combat was 17 seconds. And if they survived, they became infantrymen immediately upon landing. For the first three years of his service, Dolan was headquarters staff sergeant in the 103rd Observation Squadron, Pennsylvania Air National Guard, which had been nationalized. Year one was mostly training; years two and three were spent doing anti-submarine patrols off the east coast. Years four and five, he spent overseas as a photo interpreter with the 33rd Photo Reconnaissance Squadron. On April 17, 1944, the men of the 33rd PR boarded the SS Nieuw Amsterdam II bound for Europe as a military band played "Auld Lang Syne." The ship was a luxury liner that had been converted into a military transport. However, for the enlisted men, the journey was anything but luxurious. "Our quarters were cramped and stuffy," said Dolan. "Three hundred men occupying a space that would have been little enough room for a third of that number." Instead of bunks or cots to sleep on, the men were issued hammocks and mattresses. "Half the men slept on hammocks slung side by side, while the rest had thin mattresses which were laid on the floor close together," Dolan remembered. "It was not uncommon for a mattress man to have a shoe or body drop on him during the night or have his face stepped on by a dismounting hammock tenant." They finally arrived in England and waited for the invasion. Dolan's unit played a major role in both the preparation for the invasion of France and continued to be instrumental throughout the entire Western Europe campaign. After D-Day, the landing forces fought through to St. Lo. Once they were able to break out the engineers came in and built landing strips for the intelligence assets to fly in. "Fast-flying aircraft, new automatic cameras and modern laboratory equipment made it possible to turn out as many as 20,000 prints a day," explained Dolan. "I was the ranking non-commissioned officer in photo intelligence and was responsible for overseeing the flow and interpretation of the prints as soon as we received them from the lab. We had the operation so well organized that camera repair could remove the cameras from the returning aircraft, rush them to the lab and have prints under interpretation in less than hour. We performed first phase interpretation, looking for targets of opportunity – locomotives under steam or troop movements, or any changes at air field activity, and that information was relayed immediately to the fighter squadrons. As other areas of interpretation were completed and plotted, the information was rushed to group headquarters where detailed interpretation was done and the intelligence was then relayed to the ground forces in a matter of a couple of hours." Most of the images Dolan interpreted were taken by F5s flying at an altitude of 20,000 feet. Another squadron flew P51s converted to reconnaissance. Their cameras were pointed out at an angle, so most of their photographing was low level, 25-100 feet off the ground. "We followed the army, as they advanced, we were right behind them – sometimes about 15 miles behind them," said Dolan. His service took him through France, Belgium, Holland and Germany. "During the Battle of the Bulge, we were about 20 km from the Muse River," Dolan recalled. "The German Panzers were on the east side of the Muse. As the Battle of the Bulge went on, they evacuated our squadron back to France. I stayed behind with another member of the photo intelligence section along with some guys from the photo lab to destroy anything that might aid the enemy if they broke through. So, at that time, the only thing that stood between the Germans and Amsterdam, was about seven PIs and photo lab technicians with 30 caliber carbines," he joked. On May 8, 1945, victory was declared. The war in Europe had been won. "When the conflict in Europe ended, you needed 85 points for discharge. You earned points by awards, medals, length of time in a combat zone. I had 102 points so I was stuck in Europe until October because the ones who were going to be sent home and reassigned to the Pacific got first priority out. We had to wait until things ended over in the Pacific before we could get out of Europe." Staff Sergeant Andrew M. Dolan came home aboard the USS Frederick Lykes; he had been deployed for 19 months. For his efforts, he was awarded a Presidential Unit Citation, Belgium Fourragere, American Defense Service Medal, American Campaign Medal, Good Conduct Medal, World War II Victory Medal, European-African-Middle Eastern Campaign with Silver Star and Bronze Star for the following campaigns: Air Offense Europe, Ardennes, Central Europe, Normandy, Northern France, and the Rhineland. Reflecting on the years that have since passed, Dolan recounts tales of an active and happy life. Though some health issues have slowed him down a bit recently, he still remains active through writing and his passion for politics. "Seems like with every adversity, I ended up coming out on top," said Dolan. "I've had a pretty fortunate life." Work on the proposed air traffic control tower at the Destin Airport will have to wait for the project to be re-bid after a 5-0 vote during the Okaloosa County Board of County Commissioners Oct. 7 meeting. The three companies that submitted bids to the county were Cathey Construction, Lord & Son Construction and Speegle Construction. The project was originally put out for bid July 1 and bids were opened July 30, where they were reviewed by Reynolds Smith & Hill. Based on the agenda item from the meeting, all of the bids contained “mathematical errors and had differences which exceeded $500,000 between each total-as-read bid schedule.” During the review process, it was also determined that a change in scope was necessary to address additional security measures. A small scale future land use map amendment and rezoning of the tower’s site must also be completed. The proposed air traffic control tower project is one that’s been watched closely over the years, as locals and airport officials have been outspoken about the increased air traffic in the skies above Destin, whether from military aircraft, personal aircraft, tourism helicopters and others. The tower, according to the development application, would be roughly six stories and 67.5-feet tall and 4,419 square feet. The tower was accepted into the Federal Aviation Administration’s contract tower program in 2012. The pilot's failure to maintain sufficient altitude during maneuvering flight, which resulted in his failure to see and avoid a power pole and wires. On November 3, 2012, about 2245 eastern daylight time, a Hughes OH-6A, N368PD, was substantially damaged following a collision with power lines and terrain while maneuvering at Atlanta, Georgia. The commercial pilot and a pilot-rated tactical flight officer (TFO) were fatally injured. 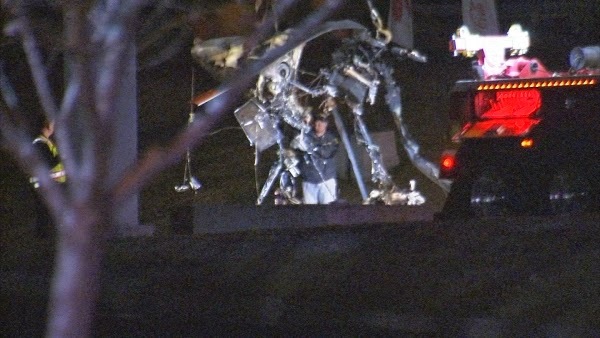 The helicopter was registered to and operated by the Atlanta Police Department (APD) as a public use flight. Night, visual meteorological conditions prevailed and no flight plan was filed. The flight originated at Hartsfield Jackson Atlanta International Airport (ATL) at 2224. The purpose of the flight was to support ground-based police personnel in locating a missing child. The search area was about 6 to 7 nautical miles northwest of ATL. The pilot was flying in the right cockpit seat and the TFO was in the left cockpit seat. A review of recorded APD voice communications revealed that the TFO made a "three minutes out" call, a "two minutes out" call, and then he reported that the flight was "26" (on station). There were no distress calls received from the flight crew prior to the accident. The helicopter was observed on radar, maneuvering, immediately prior to the accident. The radar data revealed that the helicopter traveled southbound, across Interstate 20, at about 1,300 feet above mean sea level (msl). The helicopter was then observed in a left turn of about 270 degrees, to a westerly heading. The last three recorded radar returns showed the helicopter at 1,200 feet msl (about 200 feet above ground level). The last recorded radar return was about 0.17 nm east of the accident site. The accident occurred within the city limits of Atlanta and several people witnessed the accident. An APD officer was in her personal vehicle, adjacent to the accident site, when she observed the helicopter traveling in a northwesterly direction. She observed that it was a police helicopter and the searchlight was on and pointed down. The helicopter disappeared from her view and she heard noises, like "sparking" sounds. She looked up and the searchlight had disappeared. She heard two loud explosions and saw the helicopter on the ground, engulfed in flames. When she initially observed the helicopter in flight, the engine was running it was traveling straight and not descending. The helicopter was not spinning or twisting, and seemed normal in appearance to her. She observed no smoke or anything unusual prior to the crash. Another APD officer was in his personal vehicle at the same intersection at the time of the accident. He observed an object "explode" in his peripheral vision and noticed that a transformer had exploded and something was on fire. A few seconds later the helicopter fell into the street and exploded. One witness was sitting on a wall with friends when he observed the helicopter traveling toward the local mass transit station, "very low." He said to his friends, "That helicopter is flying too [expletive] low!" The helicopter then hit a "transformer or something" and "nose-dived" into the street and exploded. He stated that the engine sounded normal before the crash and he could hear the rotor blades. He reported that the helicopter was "down low like it was chasing something" and the helicopter's searchlight was on. Another witness was in the parking lot of a gas station, adjacent to the accident site. She saw the helicopter and said, "Why is that helicopter flying so low?" She observed the helicopter at the same altitude and did not see it climbing or descending. She observed that the bottom of helicopter "caught the wires and it just flipped over into the street and blew up." Just prior to striking the wires, the helicopter was not climbing or descending, and it was not spinning. She stated that the helicopter made a "sputtering" sound, but she did not know what one was supposed to sound like. Another witness was on the balcony of her apartment with a friend when she observed the helicopter at a very low altitude. She stated that the helicopter made two complete circles and during the third circle, the helicopter hit the wires and exploded. The helicopter was at the same altitude during all three circles. The helicopter's searchlight was on and pointed down just prior to the accident. Several witnesses were interviewed by APD personnel at a local precinct after the accident. The interviews were recorded on video and copies were provided to the NTSB Investigator-in-Charge (IIC). The IIC recorded observations of the video contents (Video Reviews) and those reviews are contained in the public docket for this accident investigation. The pilot held a commercial pilot certificate with a rating for rotorcraft-helicopter. He reported a total flight experience of 2,900 hours, including 70 hours during the last six months, on his second class medical certificate application, dated September 27, 2012. His last annual flight review/unit check ride occurred on March 6, 2012, in a MD Helicopters 369E. A review of the pilot's logbook revealed about 2,933 hours total time, all in helicopters. He also recorded about 2,354 hours of night time. The TFO held a commercial pilot certificate with ratings for airplane single engine land, airplane multiengine land, and instrument airplane. He did not hold a rotorcraft rating. He reported a total flight experience of 600 hours, including 0 hours during the last six months, on his second class medical certificate application, dated August 8, 2012. He was not yet fully qualified as a TFO and was still receiving on-the-job training at the time of the accident. The helicopter was a single-engine, high skid (extended gear) rotorcraft, serial number 1180900, and was manufactured in 1967. It was powered by a Rolls-Royce T63-A720 series engine rated at 420 shaft horsepower. The helicopter was equipped with a Spectrolab Nightsun SX-5 searchlight and a thermal imaging (FLIR) system. The helicopter was not equipped with night vision goggles. A review of the helicopter maintenance records revealed that the most recent annual inspection was accomplished on August 23, 2012, at an airframe total time of 6,528.7 hours. The engine total time at the annual inspection was 1794.5 hours. The 2053 surface weather observation for Fulton County Airport (FTY), located about 3 miles northwest of the accident site, included sky clear, calm wind, with visibility 10 statute miles or greater. An examination of the accident site revealed the helicopter collided with wires at the top of a 42-foot-high power pole near the intersection of two roads. The elevation of the road at the main wreckage was about 1,010 feet. The main wreckage came to rest in the center of the road adjacent to the power pole. A post-crash fire ensued and the fuselage sustained substantial fire damage. Several loose, unused ammunition rounds were observed on the street within the area of the fuselage. Utility company crews replaced the wires and provided the damaged parts to the investigation team. The wires showed evidence of arcing and impact damage. Support structure for the wires and ceramic insulators were also damaged and broken. All main rotor blades were accounted for within the area of the main wreckage. The tail boom of the helicopter was separated from the fuselage and was found adjacent to the main wreckage. The tail rotor blades remained attached to the tail rotor gearbox. Signatures consistent with wire contact were found on the tail boom and on one main rotor blade. The wreckage was examined on November 5, 2012 at an aircraft recovery facility at Griffin, Georgia. The majority of the helicopter was consumed by fire. The cockpit and cabin sections were completely consumed by fire. The aft fuselage ("turtle back") was protected by a stainless steel firewall and was not burned. The tail boom fairing and engine inlet fairing were consumed by fire except for a small section of the aft lower section of the tail boom fairing at the aft jack point. The boom fairing attach points were torn from the turtle back structure. Three main sections remained; the main rotor hub with blades and transmission, the engine and the tail boom section. The mast, main rotor hub, and flight controls above the mast rails were generally not damaged by fire. The tunnel flight control rods were consumed by fire below the upper rod end bearings. Flight control continuity from the remaining sections of the tunnel control rods to the main rotors was verified except for some fractures as a result of impact. All main rotor blades were severely bent and deformed. The yellow main rotor blade tip was separated outboard of blade station 111. The separated blade section showed impact damage to the leading edge. The yellow blade pitch housing, straps and damper attachment showed corresponding damage. The transmission rotated by hand without binding and no chips were observed on the chip detectors. The engine driveshaft couplings were bent but the driveshaft was still connected to the engine. The forward section of the tail rotor driveshaft was completely consumed by fire. The tail rotor coupling was intact, but exhibited heat damage. The overrunning clutch operated normally. The engine was generally protected by the firewall; however, sections of the engine were burned and the engine was heat damaged. With the exception of fire damage, no obvious damage to the engine was noted. The engine was shipped to manufacturer's facilities for subsequent examination. An extended landing gear was installed. The assembly was broken away from the fuselage and exhibited multiple fractures and was complete except for some burned sections that remained with the fuselage. The tail boom section included the upper and lower vertical stabilizers, the tail rotor transmission, and the tail rotor assembly. The tail boom was broken from the boom fairing just forward of the tail boom mounting frame. The lower vertical had impact crushing on the left side of the leading edge and was broken at the attach point. The tail rotor blades exhibited minor impact damage. The tail rotor transmission output shaft was bent together with one pitch link. The tail rotor swashplate and pitch control moved freely. The mounting arm for the tail rotor control bellcrank on the tail rotor transmission was broken from impact. The tail rotor transmission rotated normally and there were no chips observed on the chip detector. A postmortem examination of the pilot was performed at the offices of Fulton County Medical Examiner, Atlanta, Georgia, on November 4, 2012. The autopsy report noted the cause of death as "Blunt Force Head Injuries" and the manner of death was "accident." Forensic toxicology testing was performed on specimens of the pilot by the Federal Aviation Administration (FAA) Bioaeronautical Sciences Research Laboratory (CAMI), Oklahoma City, Oklahoma. The CAMI toxicology report indicated no carbon monoxide, cyanide, ethanol, or drugs. A postmortem examination of the TFO was performed at the offices of Fulton County Medical Examiner, Atlanta, Georgia, on November 4, 2012. The autopsy report noted the cause of death as "Blunt Force Chest Trauma and Thermal Injury" and the manner of death was "accident." Forensic toxicology testing was performed on specimens of the TFO by the Federal Aviation Administration (FAA) Bioaeronautical Sciences Research Laboratory (CAMI), Oklahoma City, Oklahoma. The CAMI toxicology report indicated no carbon monoxide, cyanide, ethanol, or drugs. The engine was disassembled and examined at the Rolls-Royce facilities at Indianapolis, Indiana on January 22, 2013. During the engine examination, nothing was discovered that would prevent normal engine operation. Rotational scoring signatures were observed in the stage four nozzle in the blade tracks of both the stage three and stage four wheels that were consistent with engine operation at impact. Rotational scoring signatures on the compressor impeller shroud from contact with the compressor impeller were observed and were consistent with engine operation at impact. Both the power turbine governor and fuel control unit remained in their normal positions. Both displayed blackening from post-crash fire exposure, but were otherwise normal in appearance. Removal of the fuel control fuel inlet fitting revealed that the internal fuel filter was melted. Both the fuel control throttle arm and the power turbine governor arms were slightly stiff, but could be manually actuated from stop to stop. On May 14, 2013, the fuel control unit and the power turbine governor were disassembled and examined at the Honeywell facilities at South Bend, Indiana. No failed parts were discovered within either unit that would have precluded normal operation. Reports of the engine and engine controls inspections are included in the public docket for this accident investigation. On November 15, 2012, the NTSB IIC visited the APD Helicopter Unit and interviewed available flight crews. The scope of the interviews included the qualifications and experience of the accident flight crew, unit policies and procedures, particulars of the accident flight, and the unit safety program. Records of the individual interviews are located in the public docket for this accident investigation. The following is a factual synopsis of those interviews. The accident flight was the first flight of the day for the unit as there was no day shift manned that day. The evening shift began at 1600 and was to end at midnight; the pilot and TFO reported for duty at 1600. A call came in to respond to a missing child, and the flight crew began preparation for the flight, which included a review of the weather, locating the search area on a map, and performing the preflight procedures for the aircraft. The unit's Standard Operating Procedure (SOP) included locating missing children in a prioritized list of mission objectives. The mission objectives were rated 1 through 9, with 1 being the highest priority. "Missing children" were ranked at a "6" on the scale. The unit's flight crew reading file included an entry on minimum altitudes. The file entry stated that aircraft should remain at 500 feet agl until in contact with the ground unit; the ground unit or supervisor would then clear the flight to proceed at lower altitudes. One unit pilot reported that, on a mission of this type, it would not be possible to discern a missing child from 500 feet, at night, and a lower altitude would be required. The pilots interviewed generally regarded the accident pilot as meticulous, capable, and competent. He knew the local area well and enjoyed flying at night. 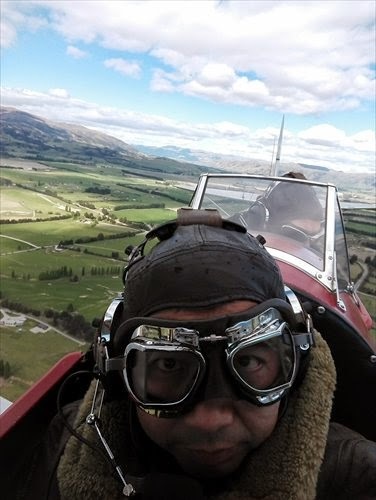 He had no problems passing check rides and other pilots were comfortable flying with him. Most of the unit pilots had not observed the accident pilot flying "too low." One pilot did report that, if any pilot in the unit had a tendency to fly low, it was the accident pilot. Regarding the unit's safety program, a unit TFO also assumed the role of Unit Safety Officer. When asked about the safety culture in the unit, he responded that it was "very strong" and the pilots understood to "knock it off" if safety of flight dictated. The Safety Officer produced a monthly safety newsletter and examples were provided to the NTSB IIC. The unit did not have a formal risk assessment program in place at the time of the accident. On July 3, 2013, the Atlanta Police Department Helicopter Unit implemented a flight risk assessment tool for use by unit flight crews. The tool assesses flight risk based on an evaluation of weather, pilot-in-command experience, tactical flight officer experience, type of call/response, and other factors. Based on a numerical value, the mission must be approved by the pilot-in-command (low risk value) up to the unit commander (high risk value). 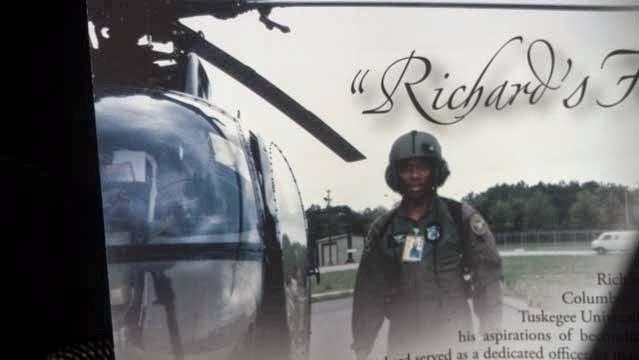 Atlanta police officers Richard J. Halford, 48, of Lithia Springs, and Shawn A. Smiley, 40, of Lithonia, died when their helicopter crashed Nov. 3, 2012, during a search for a missing boy. 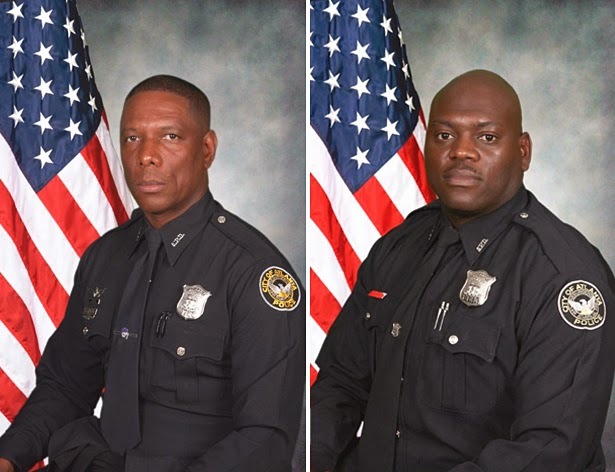 The family members and estates of two Atlanta police officers killed two years ago this week when a department helicopter they were flying crashed into power lines along Martin Luther King Jr. Drive have filed lawsuits against several companies involved in the manufacture and maintenance of the aircraft. Officers Richard J. Halford, 48, and Shawn A. Smiley, 40, were helping search for a missing 9-year-old boy on the evening of Nov. 3, 2012, when the Hughes OH-6 helicopter hit the power lines near the intersection of Martin Luther King Jr. and Hamilton E. Holmes drives near I-20. The missing boy was later found safe, but Halford and Smiley died in the crash. On Monday, attorneys for the estates of the two officers filed lawsuits in Fulton County Superior Court against the Hughes Aircraft Division of The Boeing Company, Honeywell International Inc., engine-maker Rolls-Royce Corp., Rotor Resources LLC, and Kenneth Paul Dudley, who overhauled the helicopter in 2005. There were various problems with the design and manufacture of the helicopter and its components, according to the suits. Atlanta police officials on Monday unveiled a memorial to Halford and Smiley at the crash site.